Anytime, but the afternoon offers the best light. 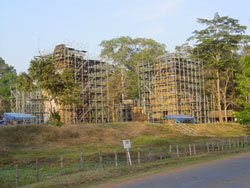 Twelve nearly identical laterite/sandstone towers that stand opposite and parallel to the Terrace of the Elephants. The artistic and architectural style of the towers is unique, defying easy classification and dating. 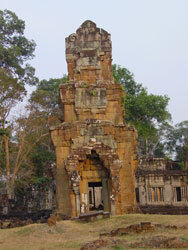 Construction may have begun under Jayavarman VII, but the towers do not display the classic Bayon-style characteristics. 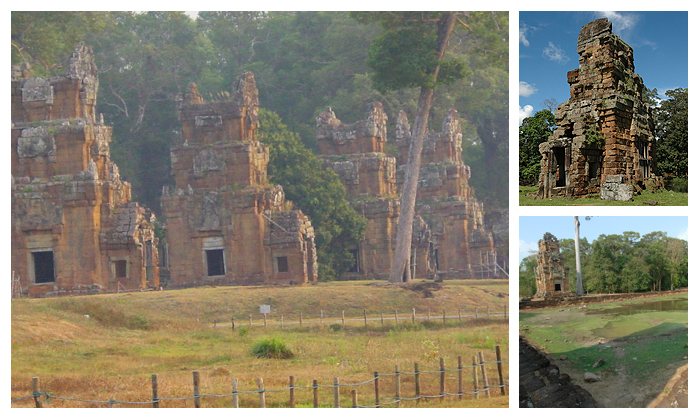 It has been argued that they may be post-Bayon or perhaps much earlier, as early the 11th century. 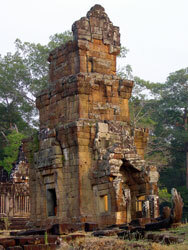 The original function of the towers is a matter of debate but in the 13th century classic, "Customs of Cambodia," Chinese emissary to Angkor, Zhou Daguan, gives a romantic but dubious first hand account of their function. He wrote that the towers were used to settle legal disputes and matters of criminal justice. The belligerent parties were kept in the towers for a few days. The one to emerge in ill health was declared the loser, guilty by divine decree. Best photographed in the late afternoon.